If you are the 'Berkshire Motor Show' Show organiser and you would like to update or amend the details shown, please contact us. Thank you. When is the next Berkshire Motor Show? Sunday 7th July, 2019. Berkshire Motor Show is listed under July 2019 Shows. Although we try to keep the information for this event as up to date as possible, we cannot guarantee that things haven't changed at the last minute, and we haven't been informed. Therefore, please contact the 'Berkshire Motor Show' event holder directly to confirm all details (especially event name, dates and location) before setting off to Tilehurst. 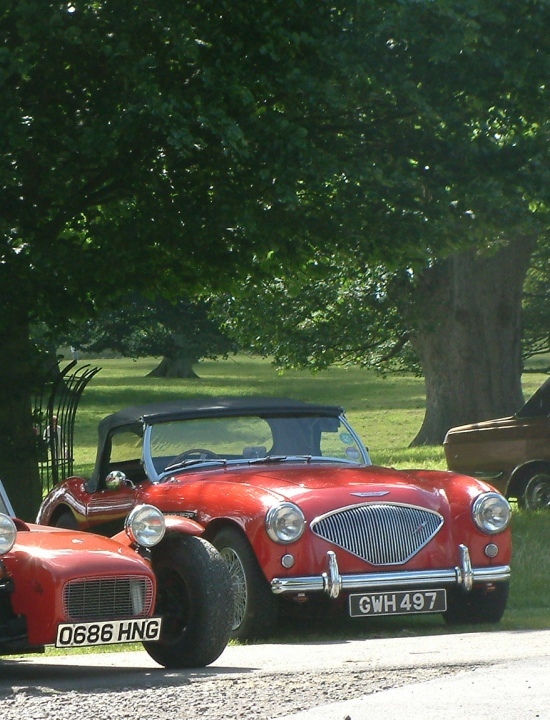 The Berkshire Motor Show is planned to take place at Prospect Park, Liebenrood Road, off Bath Road, Tilehurst, Reading, Sunday 7th July, 2019. You may reach the event organisers on 07990 66 7503. Our show this year will be held at Prospect Park in Reading. All our usual attraction will be there including the Fun Fair, vehicle display, crafts, food and stalls. We are now open to classic cars, custom, rod, bikes, tractors and even steam. The event is for the whole family and disabled people to enjoy. Public Car parking is a donation of £2. Entrance to the event by walkers is a donation to the charity, Marshall's shall be holding buckets. Disabled parking, please ask a member of staff. There will be trophies for Best 4x4, Best Classic, Best Customised, Best Club Stand, Best Motor Bike, Best in show and Best HGV. Trophy presentation and live auction will start at 3pm.